Robert Pell is what you would call a “veteran” in the health industry. He has over 35 years’ experience helping and educating people on the benefits of natural foods, exercise and healing. He runs a terrific little health food store and restaurant in Grants Pass Oregon with his family and his website www.sunshinevitamin.com provides a wealth of information on all health issues. 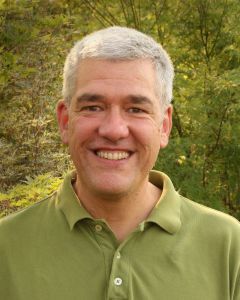 Rob also writes regular articles for publications such as The Daily Courier and newswithviews.com. He is considered a true expert in the natural health field and definitely knows what he’s talking about. We suggest you listen to his words of wisdom very closely. Thank you very much Troy for providing me this opportunity to connect with your readers. For the last 18 years, my wife Kate & I have been busy running Sunshine Natural Foods in Grants Pass Oregon in the United States. 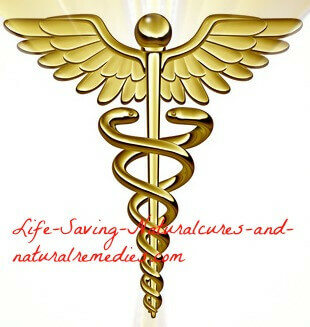 I have 35 years’ experience helping people with natural foods, products, exercise and healing. Our 4 children were born at home and have all worked at our store. We are now grooming the next generation, our grandkids, to work alongside us as well. 2. I must admit, I would love to have a store and restaurant like yours in my town. I live in Australia and we don’t have many organic food stores over here (if someone does start one up they don’t seem to last very long). And as far as a vegetarian restaurant like you have, I’ve never even heard of it! So are more and more people over there looking to buy organic and eat healthier? Is demand growing for what you offer? I guess what I’m trying to say is… how’s business? Sunshine Natural Foods was a very small business when we purchased it in 1995. Staying in the same location, with about the same number of employee hours, we've increased our gross sales nearly ten times since then. This year, business has been up 10-20% every month over what it was the same month last calendar year. We have been very fortunate. 3. Rob, I think your sunshinefoodandvitamin website is terrific. You don’t just advertise a whole lot of products. You actually provide worthwhile health information and articles. So is this your ultimate goal, to actually educate people so they can take control of their own health rather than just tell them they need to “take some vitamins” and then send them on their way? Thank you very much Troy for taking the time to appreciate and understand what our website, and ultimately our business is all about. One of my biggest dreams is for people to empower themselves through holistic health education. I truly enjoy providing well documented advice for staying healthy in order to help people become their own health expert. 4. After 35 years in the health food industry, you’ve obviously seen a lot of “healthy eating and lose weight” diet fads come and go. In your opinion, what are a few of the basics that every person needs to follow if they want to maintain good health and longevity? 1) Getting some regular moderate physical activity is very important. A simple half hour walk 3 or more days a week has a myriad of well documented physical and emotional health benefits. 2) Eating moderate amounts of whole, unprocessed, organic foods is an important component to a healthy lifestyle. Ironically, until the last one hundred years or so, it was the only diet that was even available. If the foods you've been eating for decades have been grown in soil depleted from chemicalized, industrial farming practices, a high quality food based daily multivitamin from Garden of Life or New Chapter is probably a smart option as well. 3) Drink enough pure water to keep from ever being thirsty. Chlorine is a necessary evil for municipalities to supply microbe-free water to our homes. However filtering out the chlorine in your water before use is the only practice that makes sense. No living creature on the planet ever naturally consumes chlorinated water. On our website, my article: “Three Keys to Staying Healthy” covers these concepts and more. 5. One of your articles that I found particularly interesting was the “Truth About Saturated Fats” article. You talk about saturated fats not being the “artery clogging” bad guy’s we’ve been brainwashed into thinking and you back it up with some good, solid evidence. You also talk about the danger of man-made oils and spreads. It’s uncanny because I’ve been telling people for years to stay clear of the deadly “heated and treated” hydrogenated vegetable oils and use alternatives such as coconut oil. But why do you think the majority of people still aren’t getting the message. I mean, when I’m at the supermarket and I see someone put a bottle of Crisco into their shopping trolley (and there’s lots of them)… I just cringe! I know exactly what you mean Troy. When we see people making decisions like choosing Crisco, I think we're seeing the results of 60 years and billions of dollars of advertizing. And remember, that advertizing takes many forms, some obvious and some not. The mass media advertizing is pretty obvious. The misinformation that's inserted in medical school textbooks is a less obvious, but possibly an even more powerful tool for Big-Pharma and mainstream agribusiness. It's going to take a while to elevate people's consciousness so they're asking the right questions when it comes to their health. One thing I've learned Troy is that; you can't give people answers to questions they haven't asked yet. It will generally just annoy them until they're ready to listen. That's the wonderful thing about Sunshine Natural Foods, the vast majority of people who walk through our door do so because they want to learn. Randy's story is about the triumph of the human spirit. Not only is he keeping the weight off, his doctor told him that if all of her patients had his blood work, she'd be out of business. Randy is a guy who was on multiple prescriptions and could barely walk before his success with HCG. Briefly, the HCG plan involves sticking to a very low calorie diet while using the homeopathic HCG drops. The real beauty of this plan is that even though it involves a very low calorie diet, the drops greatly diminish hunger pangs. Many customers tell us that they're not hungry at all when following the protocol and it doesn't rev up the nervous system or heart rate. The HCG diet plan has helped hundreds of Sunshine customers to safely lose weight faster than anything else they have ever tried. And after the weight comes off, many people have been able to discontinue their prescription blood pressure, diabetes and pain meds. It's truly win-win. 7. Rob you wrote a fantastic article that appeared in The Daily Courier back in February of this year titled “US Medical System Is the Nations #1 Killer”. In the article you talked about the Null-Dean report which was published by Dr Gary Null, Dr Carolyn Dean (whom we also have coming up in an exclusive interview), and other well respected medical researchers. And what they found was the leading cause of death in the United States is not shootings, or car accidents, it’s actually the U.S. medical system! Of course, nothing happened as a result of this report being produced. It was “business as usual” for the big pharmaceutical companies and the medical monopoly. So how come know-one seems to be giving these shocking statistics a second thought? If you remember back to the Vietnam War, around 58, 000 soldiers were killed and people were protesting in the streets over this yet around 780, 000 people die annually from iatrogenisis (deaths resulting from inadvertent, adverse effects or complications from medical treatments or diagnostic procedures) yet no-one’s out there protesting about these tragic deaths? Thank you for the compliment about the article Troy. Of all the articles I've ever written, the one you mention received, by far, the greatest positive feedback. In the days after that article first appeared, dozens of new faces came to our store asking great questions about health and well-being. We had people coming in and asking for 5 copies of the article to give to relatives. I was prompted to write that article after I read the newspaper obituary of one of our customers. He was a military veteran and was receiving government health care. His son told me that prior to his father's death, he reviewed his medications with him and found that 9 of the 12 prescriptions his Dad was using were to treat the symptoms created by one of the other medications. But my mind seems to work like yours. You mention the number of US soldiers killed in Vietnam and correctly point out that while tragic, that number pales in comparison to how many needlessly die from iatrogenic causes every year. And it's my belief that a very large percentage of those deaths are easily preventable. 8. Another one of your articles that recently appeared on the highly rated newswithviews.com website (and stirred up a hornets nest!) was the “Antidepressants& School Shootings: Doctors Write Prescriptions for Murder” article. I really liked that article because one of the things that gets me fired up is the fact that dangerous drugs are being dished out to our teenagers and kids for problems such as depression and ADHD like they’re lollies. 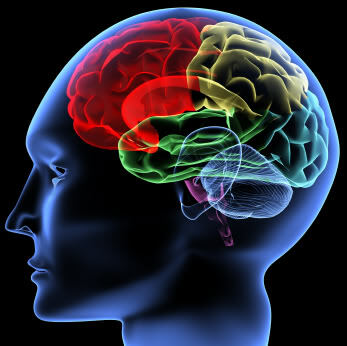 You are now calling for a publicized study into mood enhancing drugs. Do you think that will ever happen given the fact that we are talking about the almighty, trillion dollar drug industry? That is a truly great question Troy. I think it's safe to say that if people like you & I thought healthy change could never happen, there would be little reason to get out of bed in the morning. However, with that said, I think real change will be anything but easy because, as you accurately allude to, the Big-Pharma\ Agribusiness\Industrial complex has nearly limitless funds to use to ensure their money machine runs smoothly. We will never beat them at their own game, fighting from the top down. Change will have to come from the bottom up, as more of a grass roots movement. That is where people like you and I need to share our vision, insights and hope for change with anyone who will listen....and encourage others to do the same. 9. Rob, I would like to thank you for speaking with us today and providing us with some tremendous answers and insights. We really do appreciate your time. I would also like to encourage any of our readers who are planning on visiting Grants Pass in Oregon, or even just calling through, to make sure they stop in at Sunshine Natural Foods. Alternatively, you can visit them online at sunshinefoodandvitamin.com. And be sure to go to the “Wellness Library” page while you're there and check out all of Rob’s articles. So to finish off Rob, I would like to ask you what your plans for the future are. Is expansion and more writing on the cards or are you happy with things the way they are? Basically Troy, we've got more of the same on the menu: educating, inspiring and when necessary, stirring the pot. Whatever it takes to get people thinking. My latest article on GMO's was just published in our local newspaper today. It addresses the truly huge problem of Monsanto attempting to take over the world's food supply with corporate profit as their only motive. It'll be posted on our website very soon. Thanks again for having me. I look forward to doing it again sometime. You're welcome Rob. All the best! Note: Rob has now released his smashing new book "Wellness Uprising". Be sure to check it out on Amazon by clicking on the link here... Amazon.com.